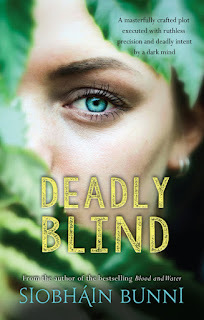 BleachHouseLibrary.ie: Book Review: Deadly Blind by Siobháin Bunni. Book Review: Deadly Blind by Siobháin Bunni. 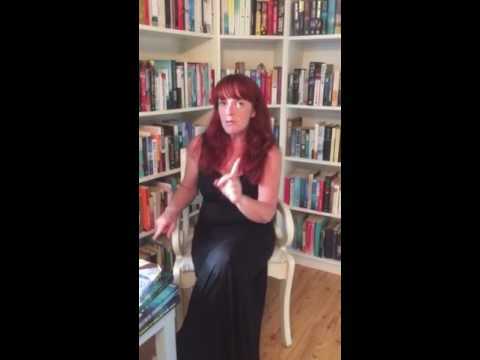 While Irish crime fiction is awash with fiesty female detectives, Bunni has introduced a character that needs no mention of stunning good looks or sexual chemistry with her co-workers. DI Fox is the lead investigating officer, that is true, but there is no need to describe what she is wearing, what brand of phone she carries or whether her shoes hurt or not. She is simply a Garda, doing her job. This is a case focused on two female victims and they are polar opposites. Bunni allows for a brief nod to designer clothes and a designer lifestyle, but allows for the fact that this is irrelevant to the thrilling narrative. Readers are not expecting to know (or care) what labels male detectives are wearing so, thankfully, Bunni does not pepper her novel with such irrelevant fashion details. Instead, we are treated to a good old-fashioned who-dunnit with page-turning deftness and a thoroughly likable protagonist. Dublin's streets are balanced with the wilds of Galway, allowing for an understanding of the limited geography of our small island. You can travel from one side of the county, to the other, in less than 2.5 hours and poor DI Fox has to make this journey frequently. A new position in Galway may have seemed ideal, but Garda HQ is based in Dublin and she finds herself more on the the road, than not. The case unfolds with many unexpected turns and Fox is constantly questioning what appears to be obvious. Karin and Sive have been friends since college and their bond has withstood the different paths their lives have travelled. So, why have they both been taken? Fox is not prepared to presume anything and takes the time to know the victims of the crime, rather than rushing to close off another case. This is one of those novels that keeps you guessing until the end. Just when you think you have it figured out, another twist arrives to surprise you. DI Naomi Fox is smart, intuitive and endearing but without over-kill backstory or emotion. The final chapter seemed an unnecessary one, which actually has echoes of another crime-fiction series but - aside from this - was pretty flawless. Deadly Blind is an ideal read for holidays, waiting rooms or those moments where you want to escape and switch-off. Definitely worth throwing in the suitcase/handbag/glove compartment/man-bag.